RustSeal is an incredible, single-component, ready-to-use, high solids content, rust preventive coating with exceptional sealing properties. No other brand is tougher on rust! Using premium quality materials & advanced color formulations, this high tech performance coating is the present-day answer for 21st century rust protection. 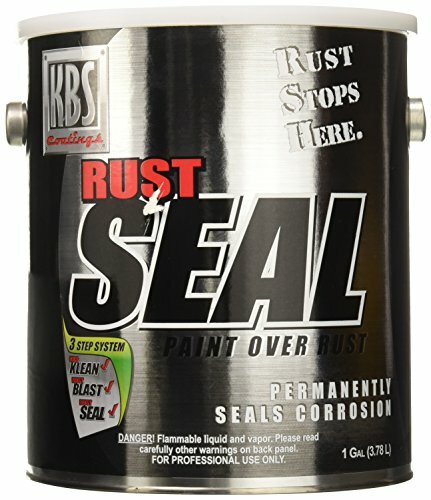 RustSeal is the most permanent cost-effective solution for stopping rust & corrosion anyplace where it is a problem: home, automotive, industry, fleet, farm & more! It's technology that's unbeatable! Satisfaction guaranteed! Rust Prevention Paint. High surface tolerance for many different types of applications. If you have any questions about this product by KBS Coatings, contact us by completing and submitting the form below. If you are looking for a specif part number, please include it with your message.